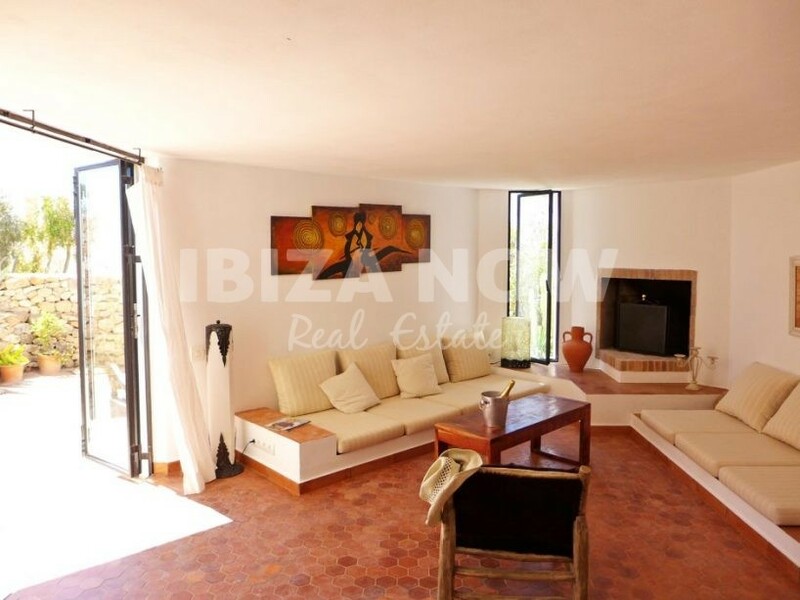 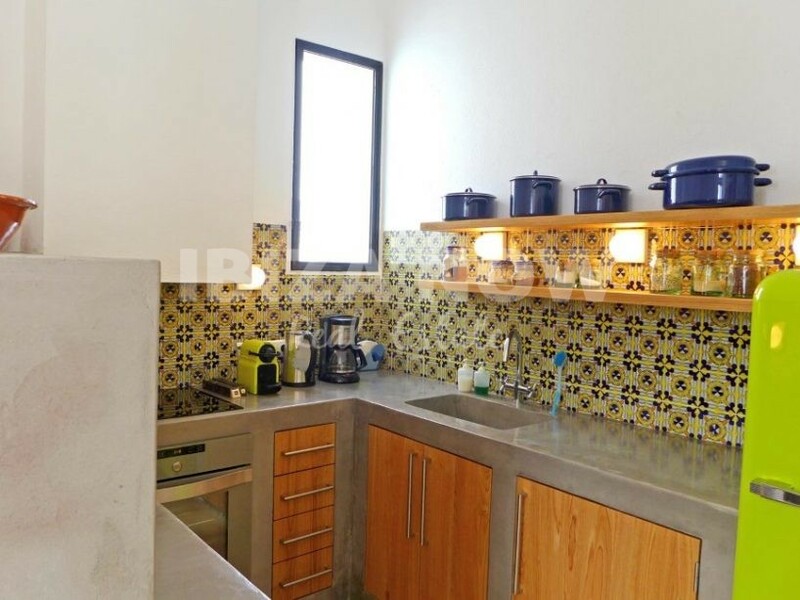 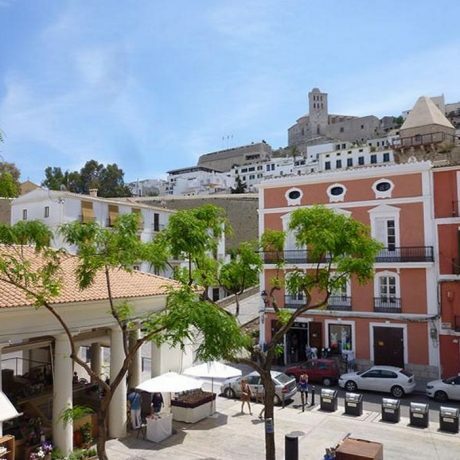 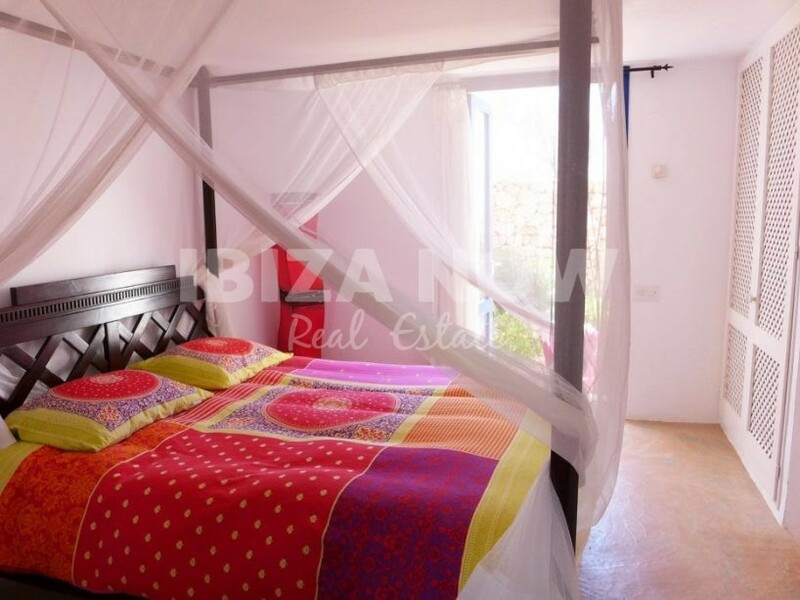 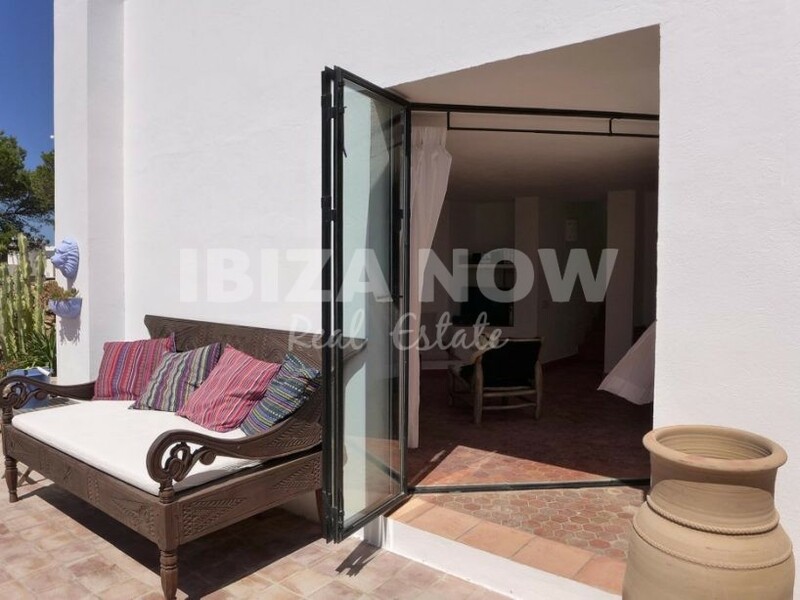 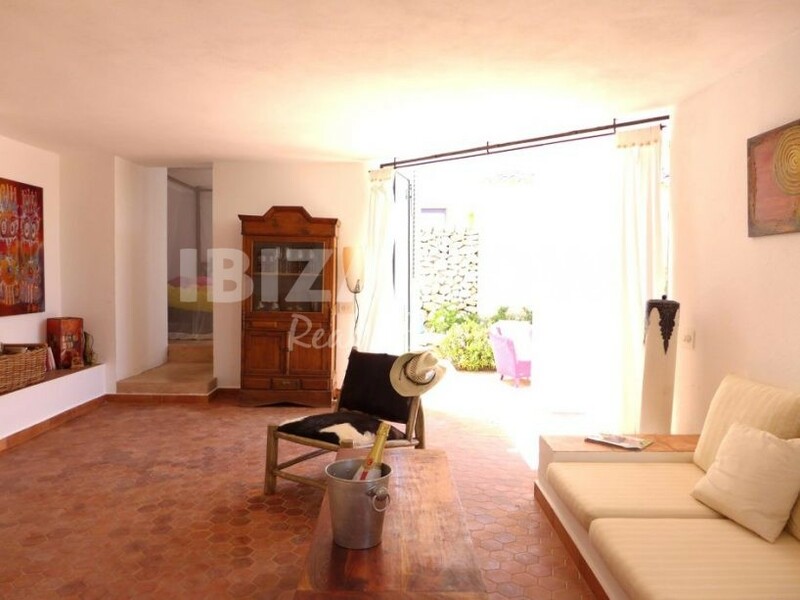 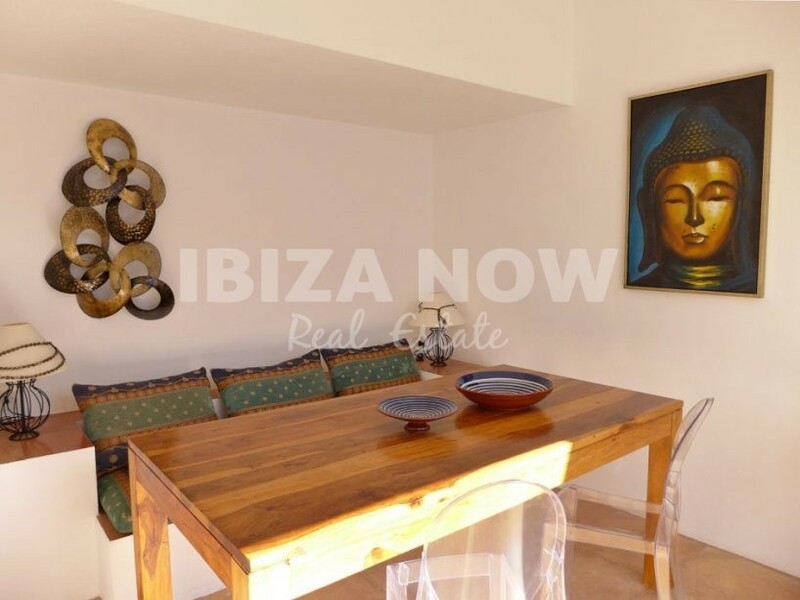 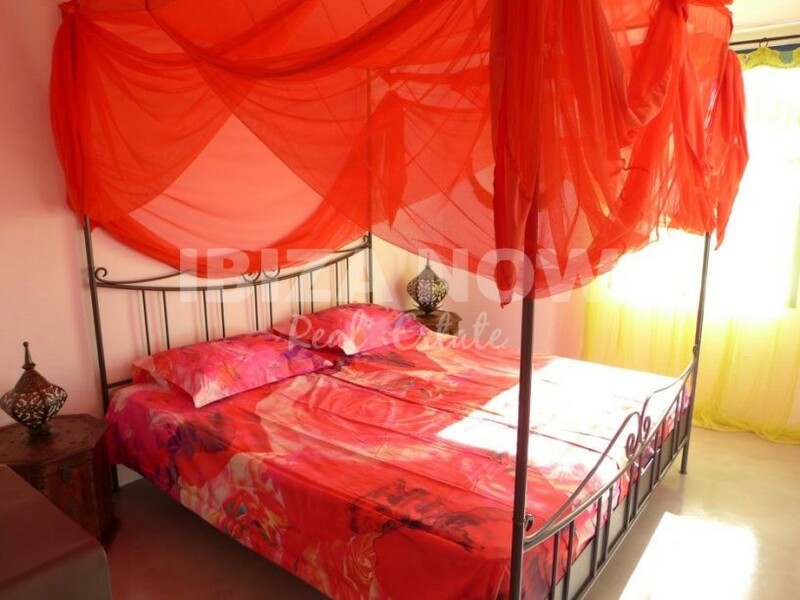 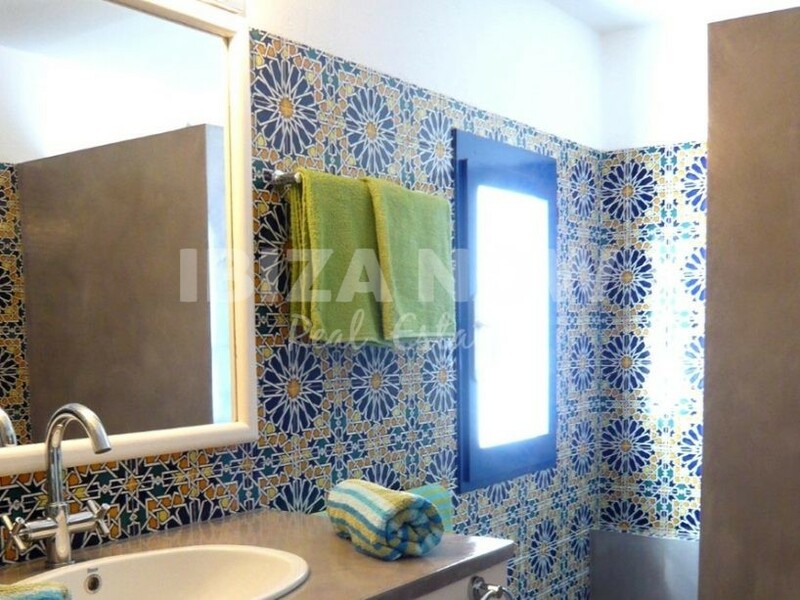 Nice 2 bedroom house for sale in Calo Den Real, Ibiza. 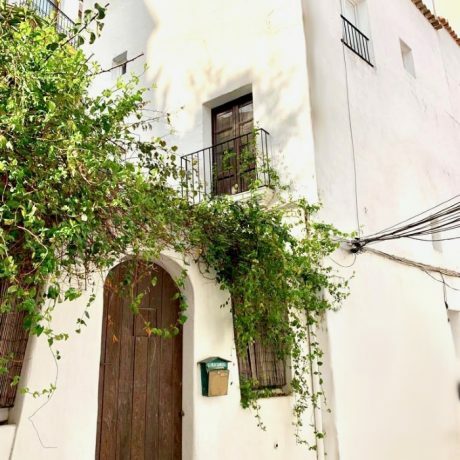 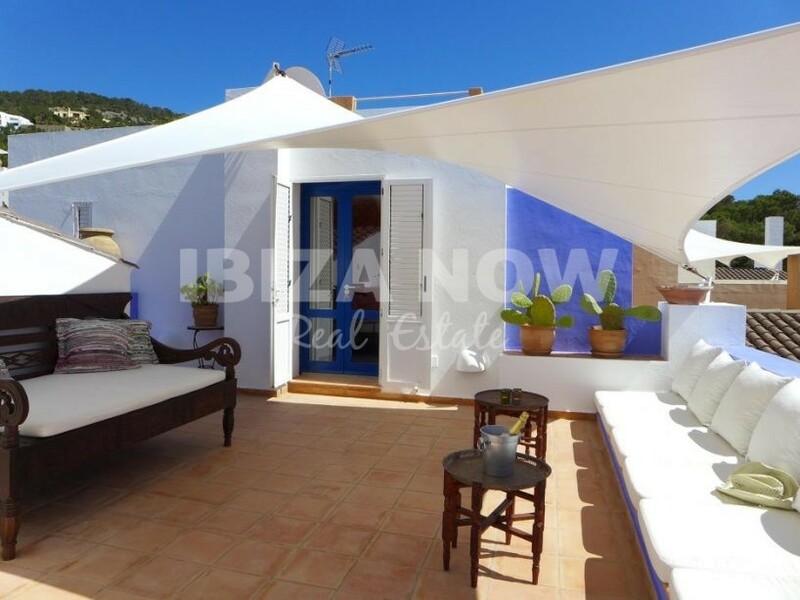 This charming 2 bedroom house is located within a small area close to the beaches of Cala Vadella and Cala Tarida. 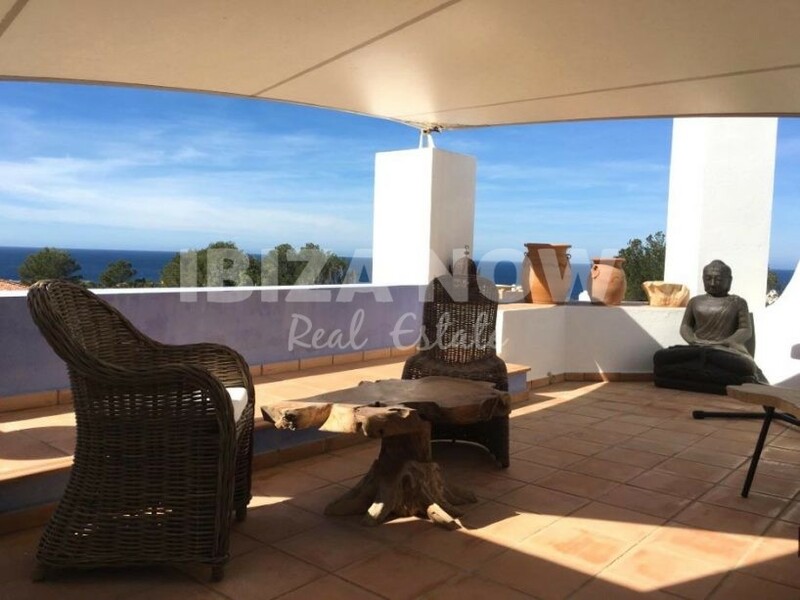 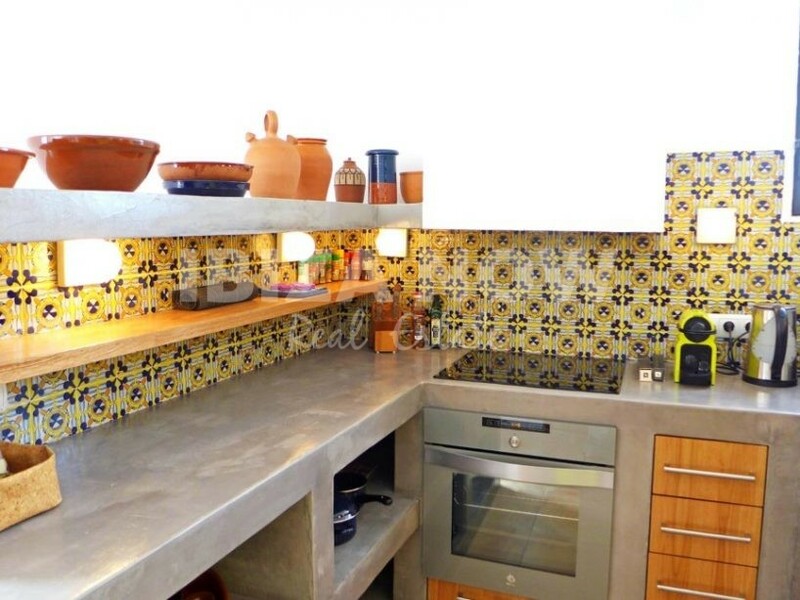 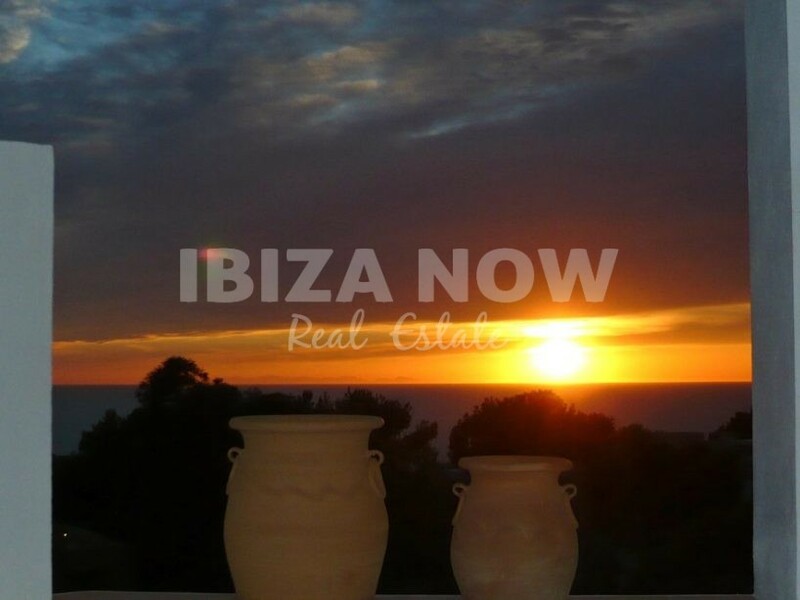 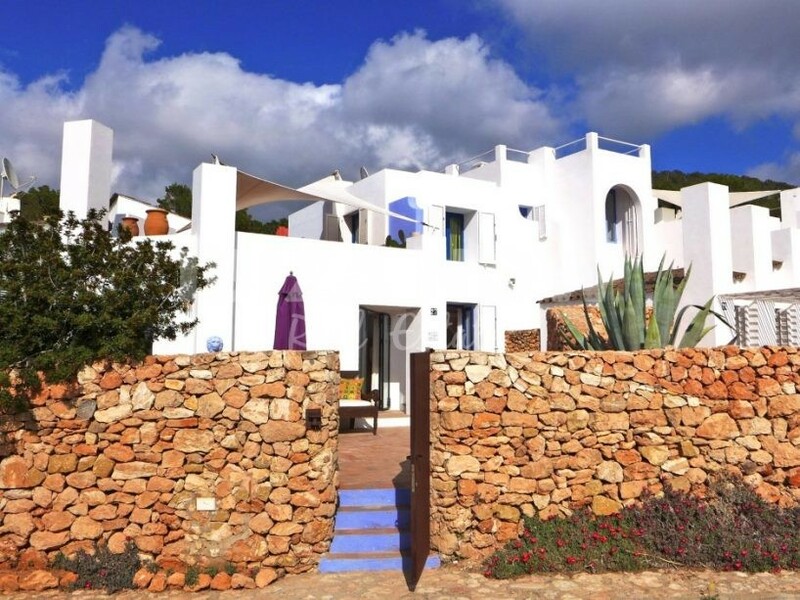 Set on a plot of 250m2 this house offers one of Ibiza´s most impressive sunsets. 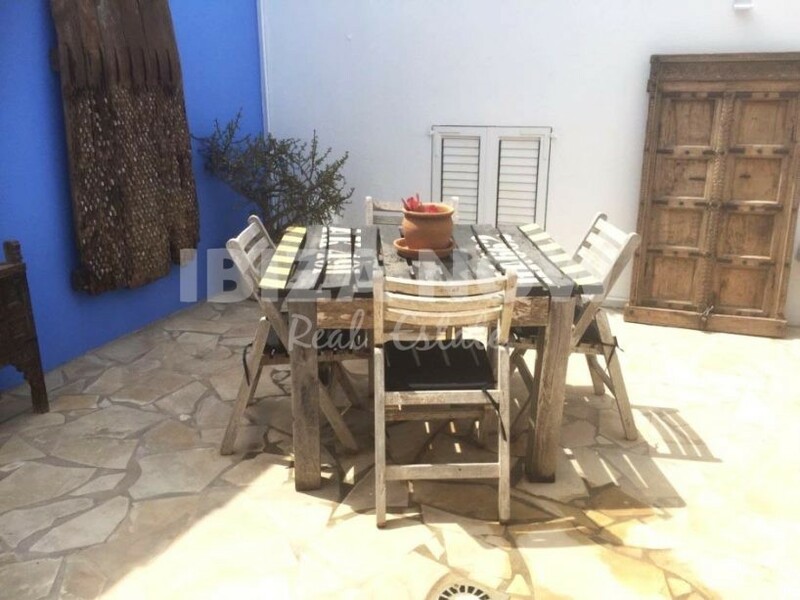 There is a patio entrance, living room with fireplace, kitchen, double bedroom, bathroom, and a dining area with access to the inner patio, all on the ground floor. 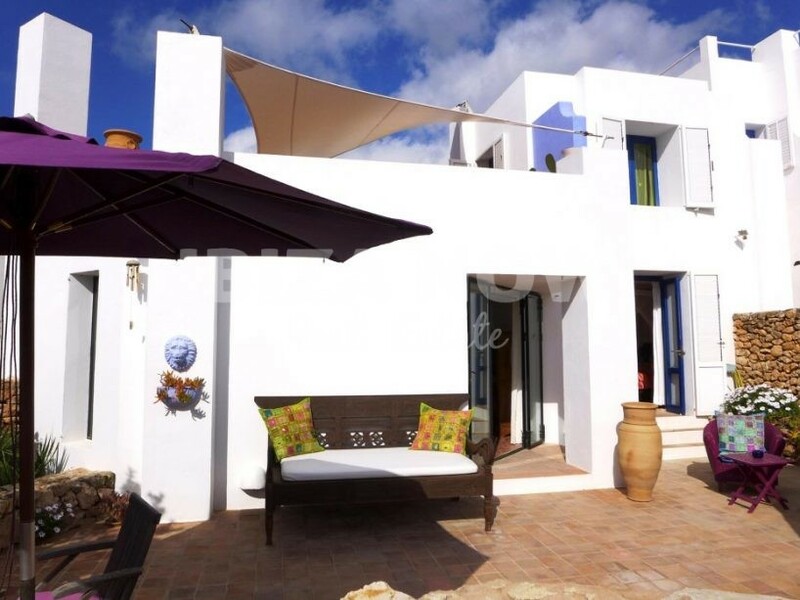 On the first floor, we have another double bedroom with bathroom and a large terrace with amazing views. 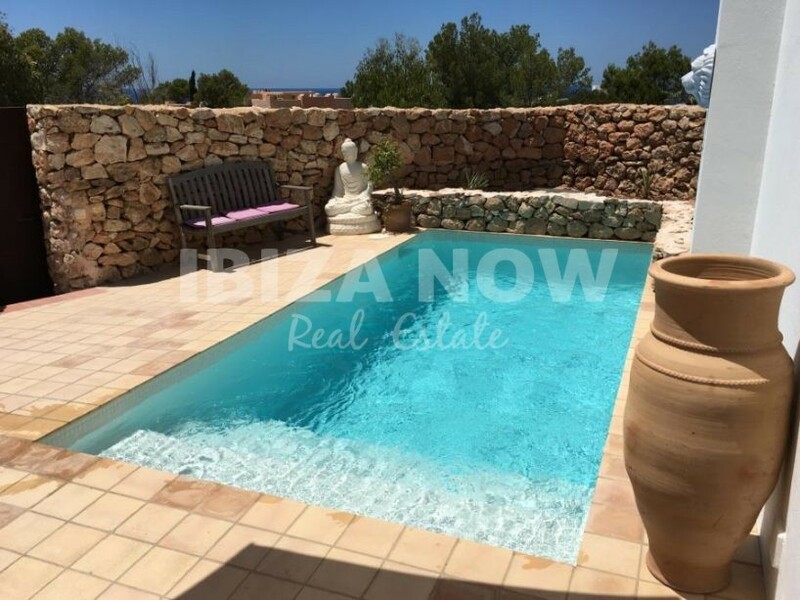 The outside area has a small private swimming pool. 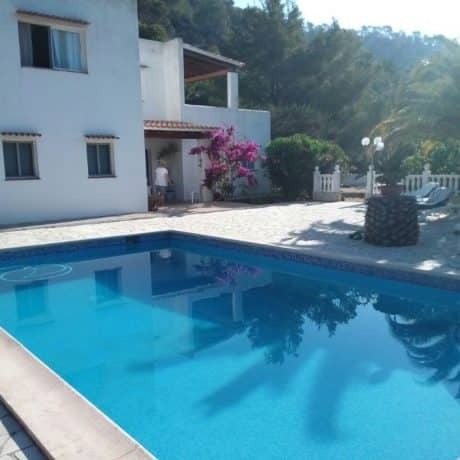 A very nice cozy house located in a safe area and close to all beaches of the South, South West.